5 blogs & bloggers you need to be following into 2018. — sophie rosie. Lol, so I actually titled this blog post '5 more bloggers that you should be following' as I was absolutely convinced that it's only been two minutes since I first wrote this post. Turns out, it's been nearly 12 months so this update is very, very long overdue. There isn't much I love more than discovering new blogs and bloggers. I love finding new things on the internet and then spending hours with a coffee, purely stalking my new blog crush. So, here are 5 blogs and bloggers that I currently adore. I think I've followed Charlotte from the day I started blogging and she's always been one of my favourites to read. She's honest, relatable and constantly smashes out the best content. Charlotte blogs about literally ~everything~. From mental health, to fashion and beauty and homeware, as well as personal lifestyle posts. Not to mention her newsletter that never fails to give me that extra little bit of motivation. It's always filled with valuable blogging tips & tricks, and I just think it's fab! If you're not signed up to it yet, you definitely should be! Lydia is quite a new discovery for me, but oh my, I'm slightly obsessed. Her Instagram is incredible, her photography is amazing, and her sense of style is literally something else. Lydia describes her blog as a 'Millennial Girl's Guide to mastery, survival, and how to live life with sass and style' and I LOVE this. If you're ever looking for a bit of that sass and style inspo, Lydia is definitely your gal! I don't even know where to start with Katy. She is one of the loveliest and kindest human beings I've ever met. I may not be enjoying London, but if there's one thing that's made this move worth it, it's the ladies that have become my friends down there and Katy has absolutely been a blessing. She let me stay with her when I had no where else to stay before I had my house, and I know that I'd be able to talk to her about anything. Katy is such a supportive blogger, her smile is literally a ray of sunshine, and her Instagram is stunning. Oh, and she's a fellow Hufflepuff so y'know, what's not to love? ;) Katy blogs about food, travel and life and I'm so, so excited to see what's to come! Recent favourite posts - 5 festive things to do in London | I bought a bunch of new clothes for Autumn | The little things that are making me happy every day. Oh, Jessi. I literally just want to hug her all of the time. We've never met, which makes me incredibly sad, but I feel like she'd be the best girl friend and gal could ever have. 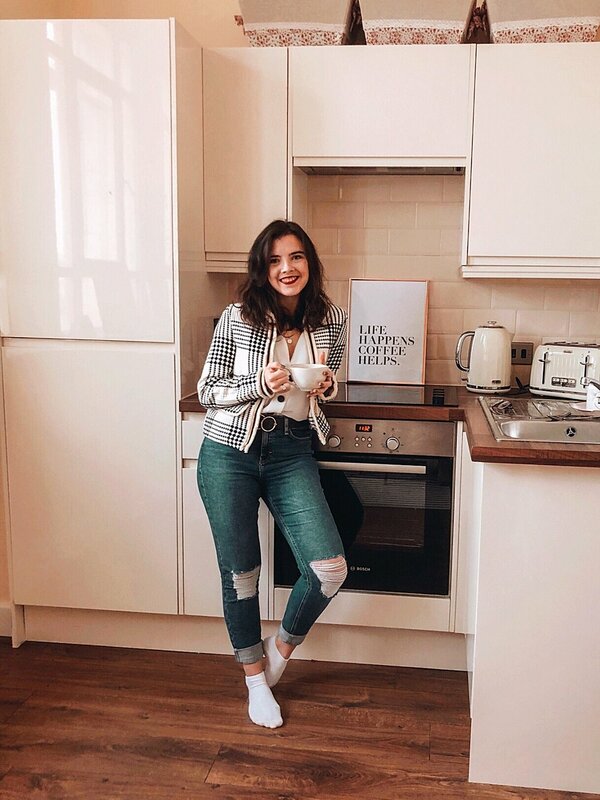 I adore following her on Instagram, her stories always just make me happy, they make me feel so homely and like I'm just sitting down with her and having a lovely girly chat over a cuppa. Jessi is another one of many absolutely lovely and supportive bloggers out there. She blogs about fashion, beauty and general lifestyle and of course, life in Liverpool which just makes me love this lady even more. Gemma is another blogger that I would LOVE to meet one day. I don't quite remember when I first discovered Gemma and her blog, but one of the first things that absolutely stood out was her photography and aesthetics. She is the queen of flat-lays and the best Mummy to her little boy Reuben. From just the little snippets that we see/read, it's clear that Gemma works so hard, as both a blogger and a designer, and has the loveliest bond with her little boy and is such an inspiration for me. Who are your favourite bloggers at the mo? If you have any recommendations, or read any of these lovely ladies, then let me know!